The information is oddly low-key: the page for the Phab 2 Pro doesn't actually mention a specific launch day. Instead you'll need to look at the Phab 2, the cheaper, Tango-free version of the phone, where a tiny alert box says the more expensive Phab 2 Pro will come out on the 1st. No pre-orders or payments are available for the latter at the moment, so it's possible that this is all a mistake and prospective buyers will still have to wait a while longer. Note the extra camera modules and Tango branding. Aside from the Tango sensors and software, the Phab 2 Pro features a massive 6.4-inch QHD screen, a Snapdragon 652 processor, 64GB of storage, 4GB of RAM, and a 16MP rear camera. 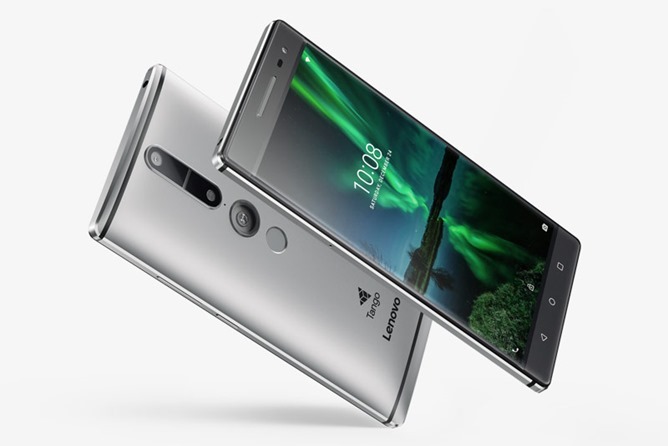 Software is Android 6.0 plus Lenovo's skin, with the requisite Google add-ons for Tango functionality and compatibility. The phone will cost $499, which isn't bad for such a niche device. Editor's note: A previous version of this article said that the Phab 2, not the Phab 2 Pro, was being released. We apologize for the confusion.